This beautiful purple piece of authentic seaglass is so unique because it has a ridge sliding at an angle going across the front of the piece. This is a very rare and unique piece. Embelished with a sterling silver twisted design. 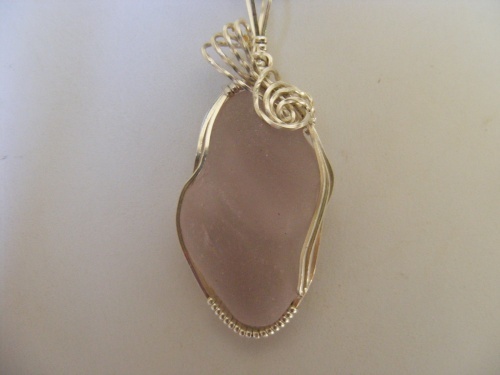 Piece measures 2" long from top of bail to bottom of pendant and 1" at its widest part. Comes with a sterling silver snake chain.